Frank Salvatore, 83, of River Road, Port Byron, passed away on Thanksgiving, Nov. 22, 2018 at Auburn Community Hospital, surrounded by his loving family. He was born in east Rochester, the son of the late Frank and Mary Quinzi Salvatore and resided most of his life in the area. Frank graduated from East High School and soon after enlisted in the U.S. Army. While stationed in Germany, he received several awards for sharp shooting and also for his fearless parachute missions. He contracted polio while in the service and was honorably discharged. Frank would then attend and graduate from Syracuse University with a degree in business. Soon after graduating, Frank would become an entrepreneur and local businessman in the Auburn area. He was one of the owners of Northbrook Heights Home For Adults, Northbrook Court and Auburn Heights. He was also instrumental in the refurbishing of the Old Stone Mill in Skaneateles. Frank was known as a very fair, kind, thoughtful and caring person. He will be sadly missed by all of his family and friends. A ‘true’ gentleman in every sense of the word. He is survived by his best friend and wife, Florence Leizear Salvatore of Port Byron, step-children Susan (Tom) Jetty of Auburn, Nancy Caplinger of Lyons, Lee Bryden of Auburn, Joel Bucklin of Port Byron, Keith Bucklin of Savannah, also Terry Colella, Jeff and Kirk Bronson, JoAnn Stallone; two sisters, Nancy DiLallo and Marie Mentillo; a brother, Anthony (Terry) Salvatore; sister-in-law Genny Salvatore, numerous grandchildren; great-grandchildren as well as several nieces, nephews and cousins. 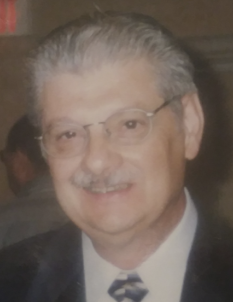 In addition to his parents, Frank was predeceased by two sisters, Josephine (Frank) Antonacci and Connie Stanzak; two brothers John and Jim Salvatore and brother-in-law Robert Mentillo. Friends and relatives are invited to join the family at 11 a.m. Wednesday in St. Mary’s Church for Frank’s Mass of Christian burial. Interment will be in St. Joseph’s Cemetery where military honors will be accorded. Calling hours are from 4 p.m. to 7 p.m. Tuesday in the Pettigrass Funeral Home, 196 Genesee St., Auburn.